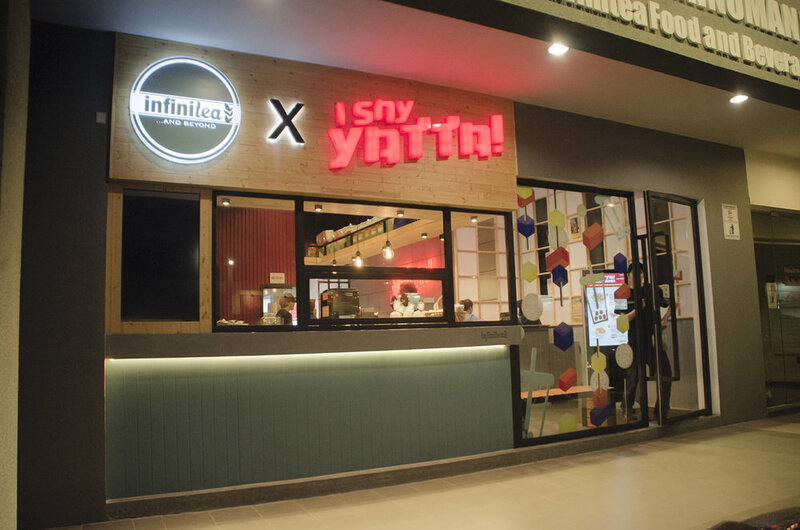 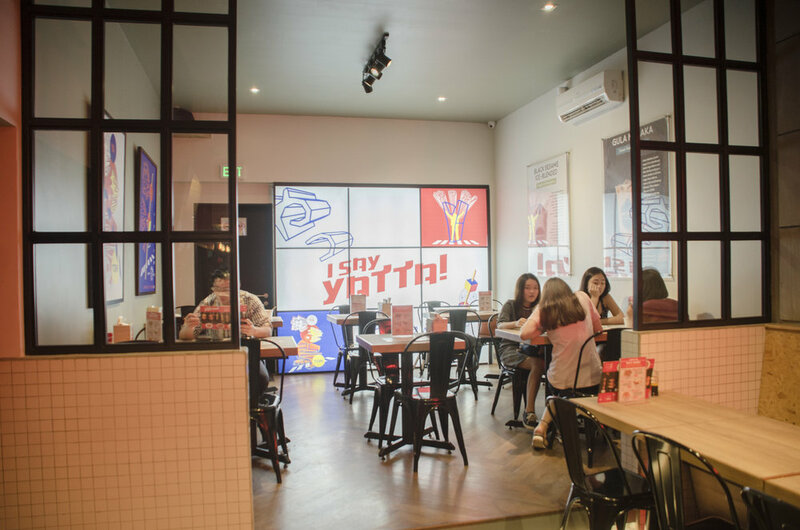 Infinitea x I Say Yatta - Combining two extreme character into one yet giving it a distinct feeling to the interior design to show that it's a two different brand identity. 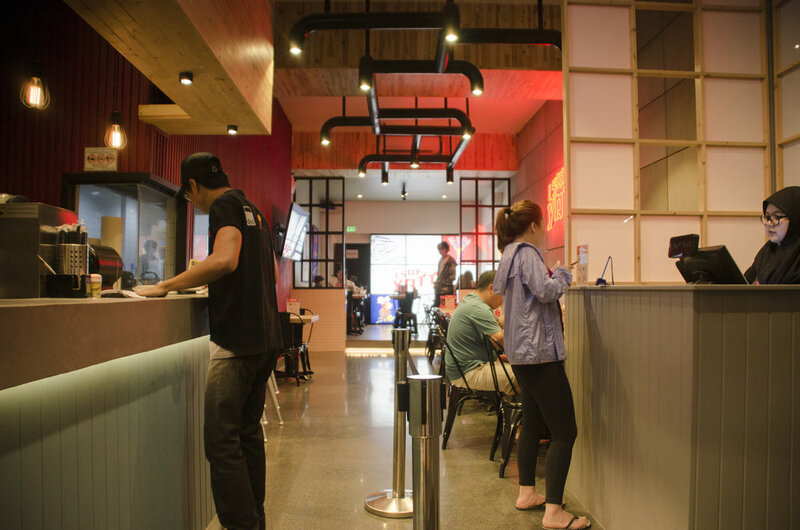 A twist of Japanese street aesthetics with a container vendor concept wall with a see-through front kitchen and a bubble tea bar at the front side of the shop. 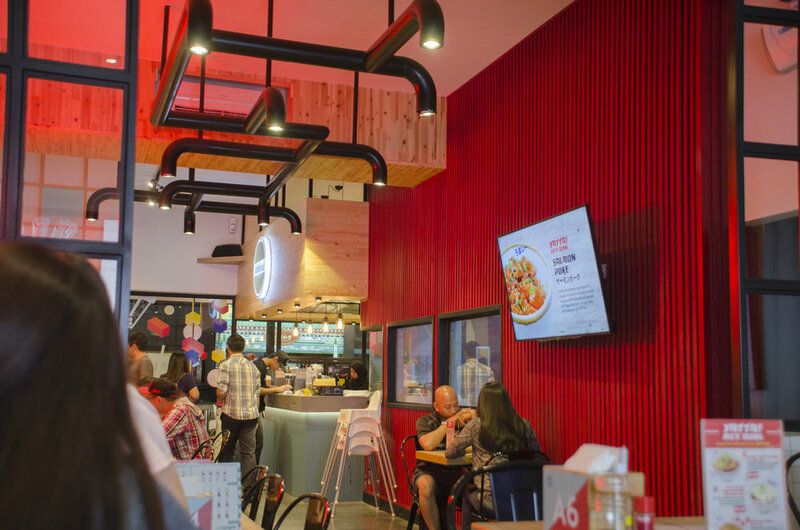 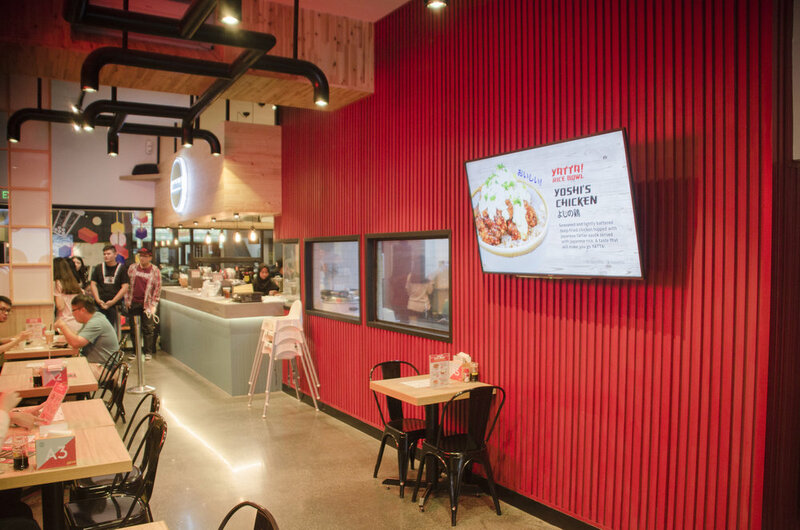 Using bright neon lights to emphasise the outdoor street personality even more and the "sewer-plumbing-lighting" running across the ceiling to brighten up the space.